Below are answers to common questions we are asked about towing and roadside assistance. This page will help you to understand what you need to know about working with a bail bond company. This page is particularly helpful for people who have never needed to arrange for bail to get someone out of jail. There are some procedural differences between jurisdictions, including how fast things move. This page will give you a reasonable understanding of what to expect when obtaining bail bond. Need more bail bond information? Contact us with your questions! Bail is a financial process, sort of like a loan, between a licensed bail bondsman/company and a person who has been arrested (or their representative). The process is essentially taking on a financial obligation to have a person released from jail. The amount of jail is set by the arresting jurisdiction. A bail bondsman helps you get the money you need to "post", to get someone released from jail. It depends upon the charges and circumstances. A simple charge like a DUI without accident or injury may take just a few hours to be processed, while a person charged with a major felony might have to wait several days for a judge to set the bail amount. Do I have to pay off the whole amount? No. When bail is originally posted you pay us a fee for us to put up the money you need for bail. Posting bail shows the court that you truly intend to show up in court, and can be trusted if released from jail. If the arrested person jumps bail (does not show in court) the bail money is forfeited to the court and you will be required to pay the full amount to us. That is not necessarily a problem for us. Although every case is different, we can often arrange terms in most any bail bond situation. We recommend that you call us rather than simply give up right away on getting bail bond. How do you know how much bail is going to be? Bail is usually set by a judge as part of a preliminary hearing. Some charges, such as a DUI without other charges, may have a standard bail amount. We can make the calls to find out the bail amount, and then let you know what to expect. We're here to get you through this hassle as easily as possible. We'll even call you when the bail bond process is close to being finished, and the person who was arrested is about to be released. What do I have to do to arrange bail? 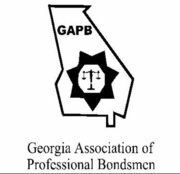 Simply call us, ANYTIME 24/7, and a friendly person will tell you how to get Bail Bonding Done Fast in Cherokee County or Pickens County, Georgia. We can meet you at the jail, and handle the paperwork on the spot. We help people just like you every day.Call 770-894-7575.